Each year the U.S. Department of Energy (USDOE) asks Clean Cities coordinators to submit annual reports of their activities and accomplishments for the previous calendar year. Data and information are submitted via an online database that is maintained as part of the Alternative Fuels Data Center (AFDC) at the National Renewable Energy Laboratory (NREL). Coordinators submit a range of data that characterizes the membership, funding, projects, and activities of their coalitions. They also submit data about sales of alternative fuels, deployment of alternative fuel vehicles (AFVs) and hybrid electric vehicles (HEVs), idle-reduction initiatives, fuel economy activities, and programs to reduce vehicle miles traveled (VMT). NREL analyzes the data and translates them into petroleum-use reduction impacts. 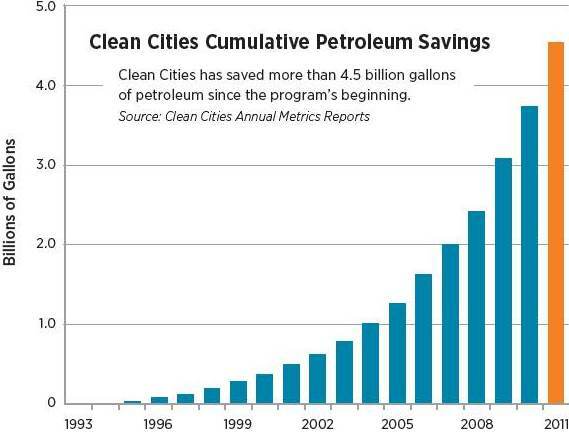 The goal of the Clean Cities program is to cut petroleum use 2.5 billion gallons per year by 2020. Clean Cities coalitions and stakeholders have saved more than 5 billion gallons of petroleum since the programs inception in 1993. This could not have been done without the commitment from our coalition members. In 2012 fleet data gathered here in the Capital District yielded over 800,000 gallons of petroleum reduced. The goal of the Capital District Clean Communities coalition is to reduce petroleum use by 1 million gallons each year int he Capital District. Coordinators understand and very much appreciate the incredible time and effort required of members in compiling and submitting their fleet data. Any member that completes the survey and submits their fleet data by Friday, February 28th will be entered into a raffle to win a $25 gift certificate to their favorite local restaurant or coffee shop. 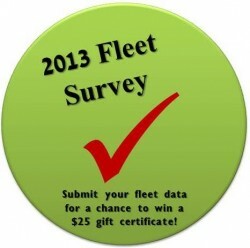 Data can be submitted by clicking the 2013 Fleet Survey Button below (the button can also be found on the website’s homepage and member page) or by submitting the 2013 Fleet Survey template (.xlsx file) and returning it via email to jceponis@cdtcmpo.org. To read more about how the data is compiled by NREL and what metrics are used please see the Clean Cities 2012 Annual Metrics Report. The results of last year’s fleet survey can be found in the Capital District Clean Communities 2012 Annual Report. Thank you in advance to all of our members and stakeholders. Your participation in this data collection effort is so very valuable.